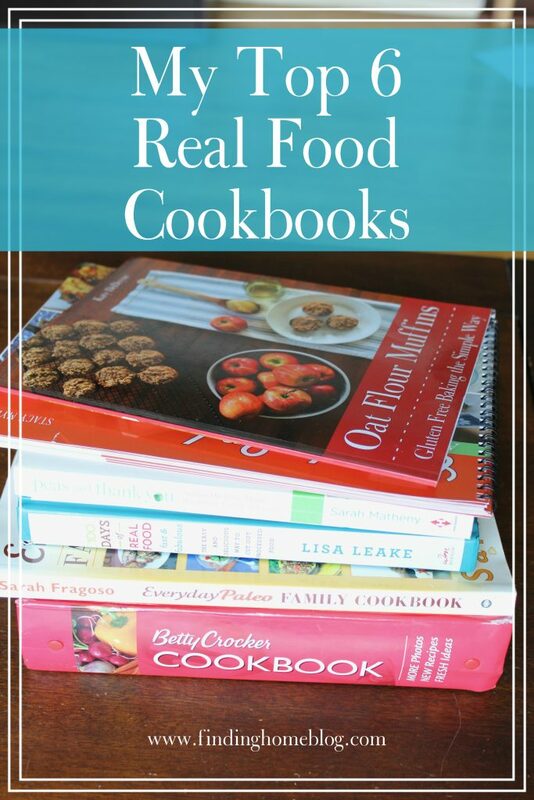 As our real food journey has progressed, I’ve had many cookbooks enter my kitchen. I’ve also had many cookbooks leave my kitchen. But these? These are the ones that have stayed. I’ve gotten them years apart, and I still use each of them at least once a month. I have favorite recipes memorized. I’ve learned different cooking skills from them. And I’ve made plenty of delicious food! You won’t find a lot of semi-homemade, processed food here. What you will find is a lot of simple ingredients, budget-friendly recipes, and plenty of flavor. 1. 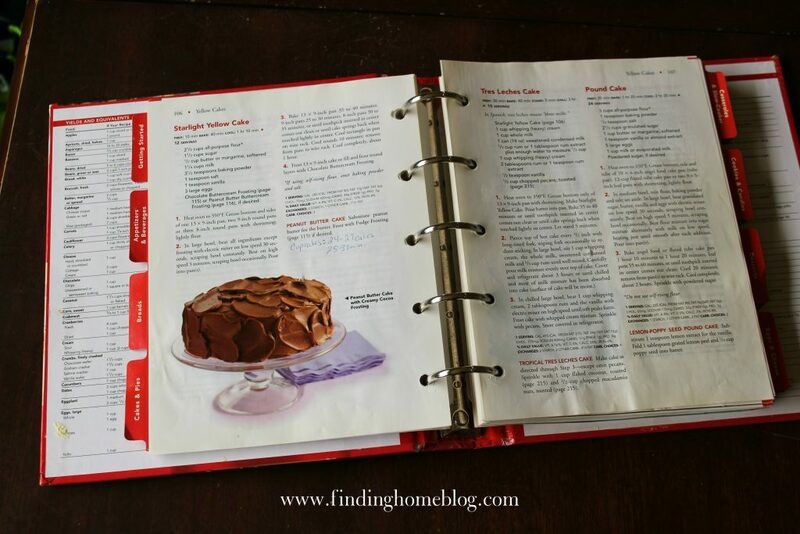 Betty Crocker Cookbook: Everything You Need to Know to Cook Today. (I have the 10th edition, but they’re up to the 12th edition now.) My Grandma Betty’s tradition is to give each granddaughter a Betty Crocker cookbook as a wedding shower gift. This was mine. And this one has stayed in my kitchen, because this Betty (and my Grandma Betty) taught me that cooking and baking don’t have to be complicated. You can make delicious food with just a few simple ingredients, and the best recipes are quick and easy. Every time I make the Starlight Yellow Cake, I get compliments. And any time Jesse and I want to make a special dessert after the kids go to bed, we head here. Hot Fudge Sundae Cake was one my Grandma made often, and it’s one we’ve enjoyed many times too. There are plenty of chapters beyond desserts, but that’s my favorite section. I also love that this one is 3-ring-bound, and it’s super sturdy. And there are visuals for how things are supposed to look, as well as what they look like if you mess them up in common ways. Related: Betty Crocker Christmas Classics. I also have this one, which I don’t use as often, because the recipes are more complicated, but if you’re looking for extra special baking projects and fancy looking treats, this one is fun too. I have the Christmas Turtles and Stained Glass Cookie recipes bookmarked for the next time we’re in the mood for something special. 2. 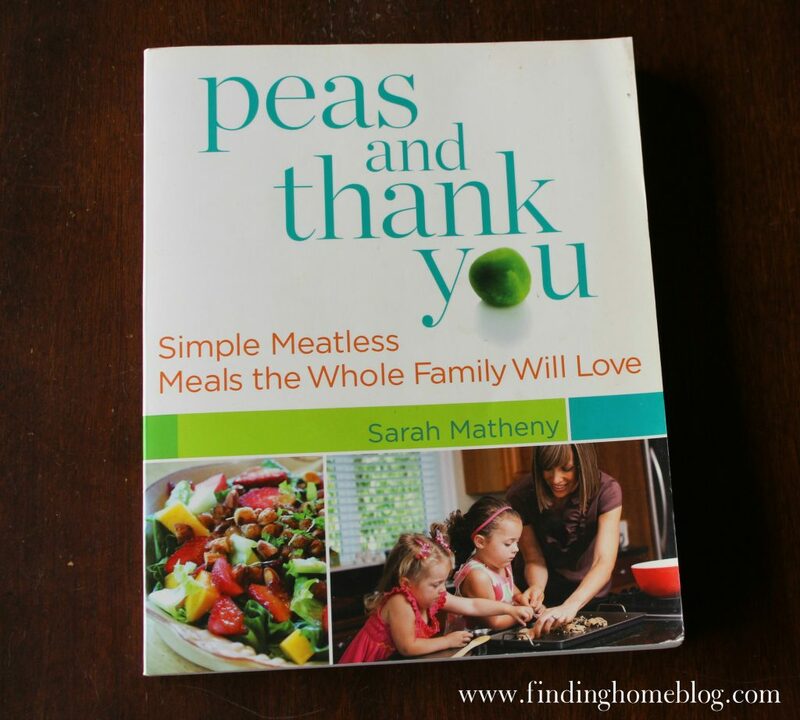 Peas and Thank You Cookbook by Sarah Matheny. Sarah used to write a blog, and I loved her funny writing style and easy recipes. Except for tofu. Although she did get us to try tofu, so…maybe that says something. Sarah wrote about vegan food, and I first found her when we did our month of vegetarian eating several years ago. I kept reading because her recipes were easy to follow, were full of fresh veggies, and her stories about her (then) two daughters were hilarious. I don’t turn to this cookbook as often any more, but I still use some of the recipes occasionally, especially when I’m running low on grocery funds and meat. And her Black Bean Burgers were the inspiration for my own. If nothing else, this cookbook is worth the price for the Cinnamon Vinaigrette salad dressing recipe. I make this at least once a week, and it’s gold. Related: More Peas and Thank You by Sarah Matheny. Since we enjoyed the first one so much, I bought the second cookbook as well. In here you get Peach Cornmeal Muffins and Strawberry Multigrain Cereal Bars, plus savory entrees like Portabella Mushroom Fajitas, which has the sauce recipe that I still use for our Chicken Fajitas all the time. 3. 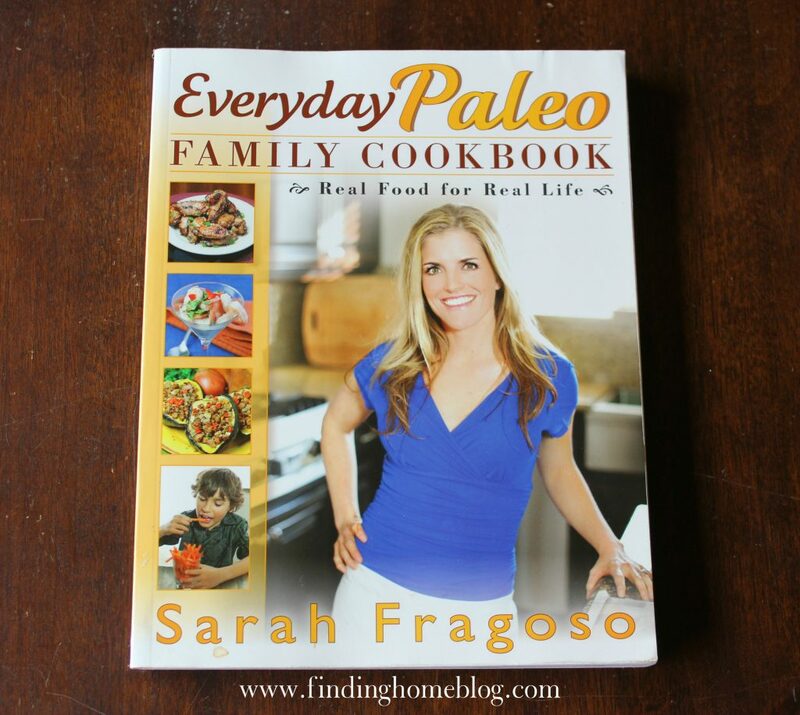 Everyday Paleo Family Cookbook by Sarah Fragoso. Jesse bought this cookbook for me when he wanted to try eating paleo for a month. And most of the recipes we tried during from this book during that month are ones that we still eat regularly. This was also a great resource during our Whole 30. We love the Winter Squash Hash with eggs for breakfast (it was the inspiration for my Sweet Potato Breakfast Hash), and we make the Mexican Beef Skewers with Poblano Roasted Sweet Potatoes for a special Sunday dinner. And let’s not forget the Paleo Pumpkin Pie, which I make for Jesse’s birthday and Thanksgiving every year. Related: Sarah Fragoso’s blog, with yummy recipes like Southwestern Frittata and Mexican Meatballs. She also has several other cookbooks, including an Italian one and a Make-Ahead one, but I haven’t tried those out yet. 4. 100 Days of Real Food: Fast & Fabulous by Lisa Leake. 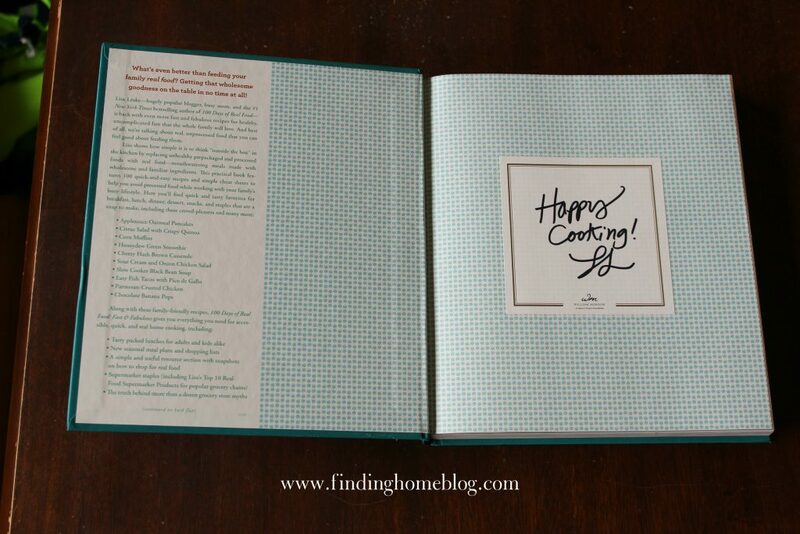 I was lucky enough to be on the launch team for this one, which means I got an autographed copy of this cookbook! I love that most of these recipes are easy to make, and Lisa’s food philosophy is eating only real food, not processed, which I can totally get behind. I love that the recipes in this book gave me some new flavor combinations as well – I was especially excited about the cold pasta salads for an easy lunch! You can read my full review here. Related: 100 Days of Real Food. I actually don’t own the original cookbook, but it’s on my wish list! Where Fast & Fabulous focuses on recipes that are quick to make, the first one shows you how make pretty much everything you could need from scratch. 5. Crock On by Stacy Meyers (ebook here or paperback here). Any time I can support another mom’s business from home is a great opportunity, especially someone as funny and inspiring as Stacy. And every recipe we’ve tried from this cookbook has been a winner. Every. One. That rarely happens. 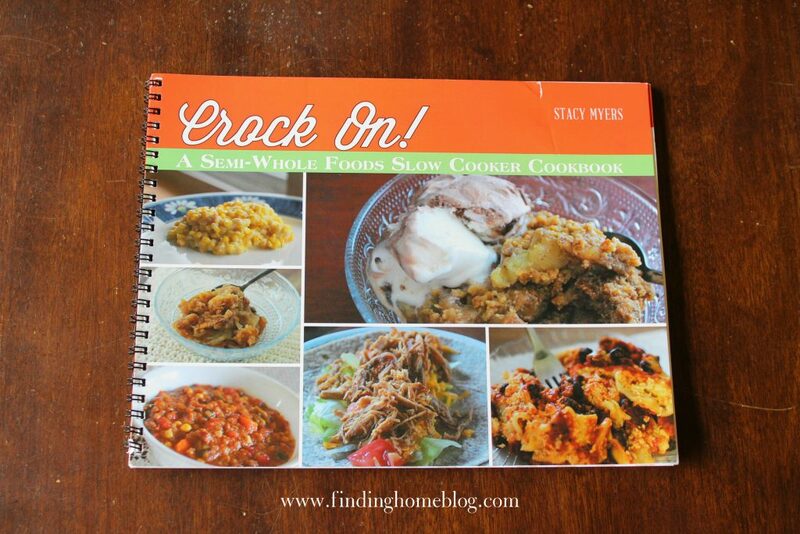 I love my crockpot, and these recipes are full of flavor and can feed a family, even a big one. Stacy’s pretty much my hero, and I love her cookbooks. Related: Keep Crockin’. I don’t have Stacy’s follow-up cookbook yet, but based on the first one, it’s only a matter of time. 6. Oat Flour Muffins. 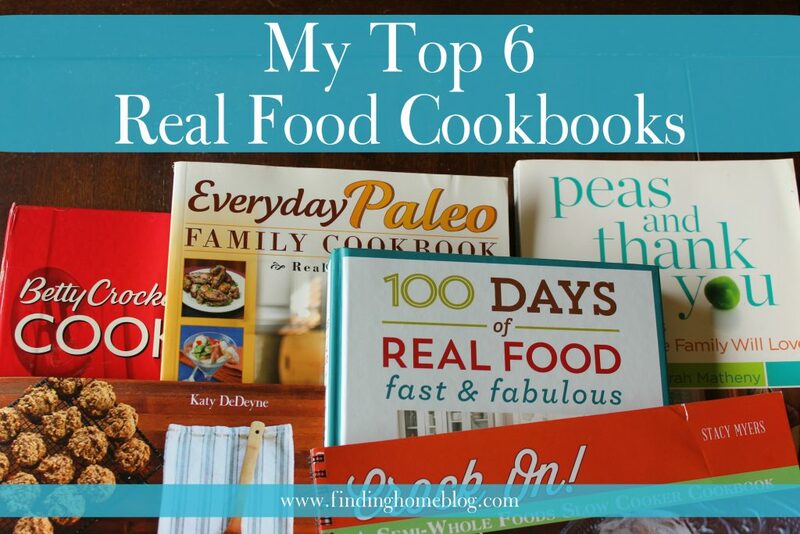 You might think it’s just a ploy to include my own cookbook on this list, but you’d be wrong. We make muffins from this book at least once a week for breakfast. Sometimes more. Because we love muffins. The kids even request them for their birthday breakfasts, so you know they must be good. Read more about the book here. For a cookbook to stay in my kitchen, it has to have recipes I turn to again and again, that the whole family can enjoy. It has to use basic ingredients, and a limited number at a time. And the recipes have to be quick and easy, or I won’t make them. Those are tough standards, which is why only a select few stay in my kitchen. 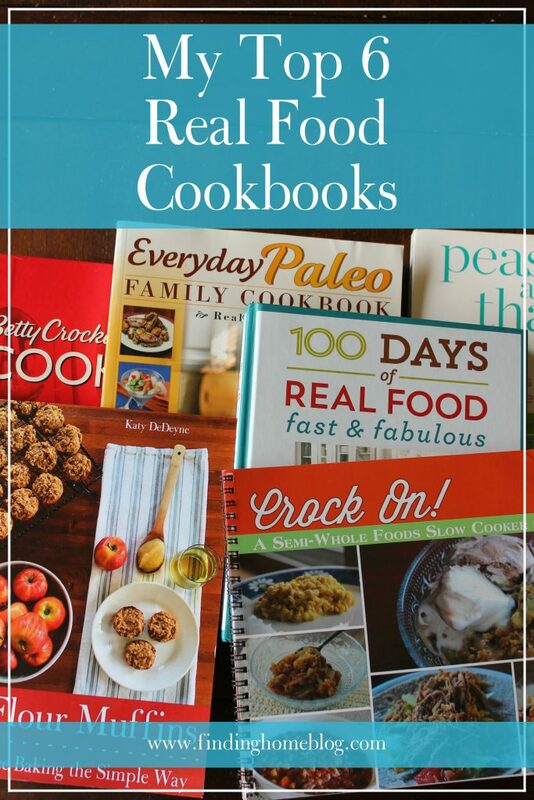 100 Days of Real Food by Lisa Leake. Keep Crockin’ by Stacy Meyers. The Wellness Mama Cookbook: 200 Easy-To-Prepare Recipes and Time-Saving Advice For the Busy Cook by Katie Wells. Chocolate Covered Katie by Katie Higgins. 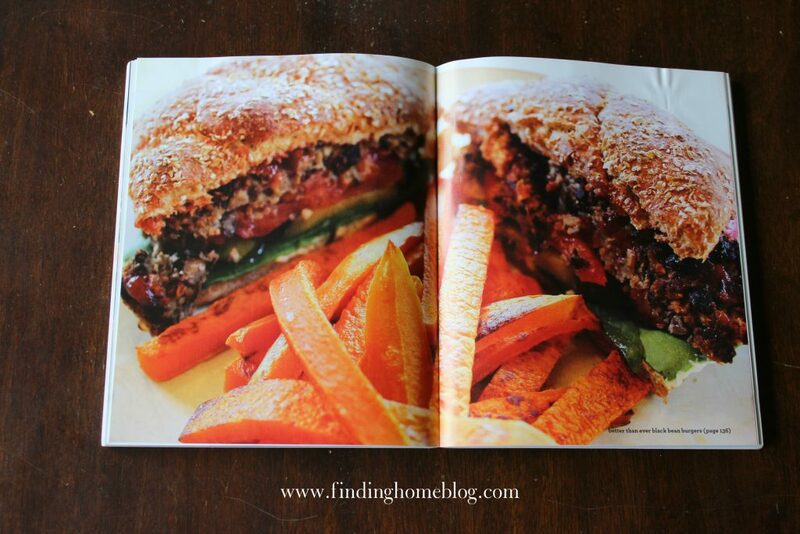 What’s your favorite cookbook? Or if you already own one of these, which recipe do you keep coming back to?